« What A Grand Canyon! Today, my wife and I attended the first day of the National Pastors Convention here in San Diego – the first conference we’ve been able to attend together in several years. I’m sure I’ll be processing everything from NPC for awhile, but for now I’ll just share a couple of initial impressions. Erwin McManus, author, pastor and cultural architect of Mosaic in Los Angeles, opened NPC with a talk about Soul Cravings — the deep things all people have in common despite increasing globalization and rapid change. I appreciated his sensitivity and depth in understanding how much it would cost for different people to begin following Christ — e.g., a Buddhist would dishonor his ancestors or a Muslim might put herself or her family at risk. I’m guessing that the NPC crowd skews a bit older than his usual audience. It was interesting to watch the younger folks in the crowd track so easily with his timing, rhythm and cultural references while for others the cues were perhaps not as clear. 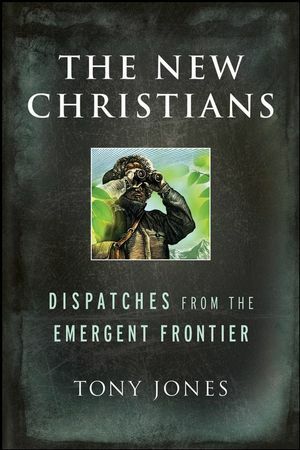 In the afternoon, my wife and I attended Tony Jones‘ seminar on The New Christians: Dispatches from the Emergent Frontier. While Tony shared about some of the verbal fireworks from his pre-conference critical concerns course, this particular seminar was quite tame. Tony gave a great presentation and engaged the Q+A thoughtfully. We had a chance to speak with Tony for just a quick moment afterwards about some of the points of intersection and commonality between the Emergent community and what is happening in next-gen Asian American churches. I’ll be engaging these ideas in much more depth over the next several weeks as I’m scheduled to give a seminar on the Asian American church and post-modernism at SDAALC in April. We’re also really glad to be hosting DJ Chuang for a couple of nights while he is in town checking out NPC. It has been fun to pick his brain and get his insights into a variety of topics. Maybe we’ll test his Guitar Hero skills at some point.